Looking to fund an unpaid or low-paid internship experience? Here is information on funding programs. Be sure to check out the eligibility and program requirements for each program. We encourage you to apply to all programs you’re eligible for. Thank you for your interest in the Summer Funding Programs. Recipients of the Work Exemption Program (WEP) receive a Columbia Grant to support their pursuit of unpaid internships, research projects, and community outreach, locally, nationally, and internationally. The Columbia College Summer Funding Program provides funding to Columbia College students participating in unpaid or low paid summer internships related to their career pursuits and/or academic studies. Eligibility: Columbia College students who have secured an unpaid or low paid summer internship. Please note that certain donors restrict funding to students receiving grant-based financial aid. The Columbia Engineering Internship Fund (CEIF) provides funding to selected Columbia Engineering students to participate in an unpaid or low-paid engineering summer internships related to their career pursuits and/or academic studies. 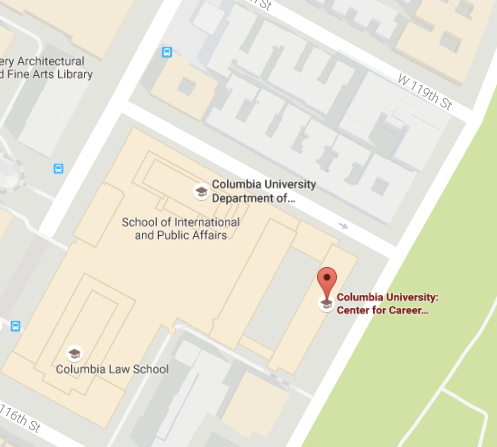 Eligibility: Columbia Engineering students who have secured an unpaid or low paid summer internship. The Startup Internship Fund (SIF) enables undergraduate (CC, SEAS, GS) students to pursue a quality unpaid or low-paid summer internship at a high growth, innovative startup company. Eligibilty: Columbia College, Columbia Engineering, and General Studies undergraduate students receiving grant-based financial aid. As a first year student, there are many ways to build experience through internships, research, volunteering, student club activities, and on-campus jobs. Here are a handful of opportunities to get started. Getting research experience during your time as an undergraduate can aid in your pursuit for graduate school or certain career opportunities. There are many opportunities available to conduct research alongside faculty at Columbia or other universities and research institutes.